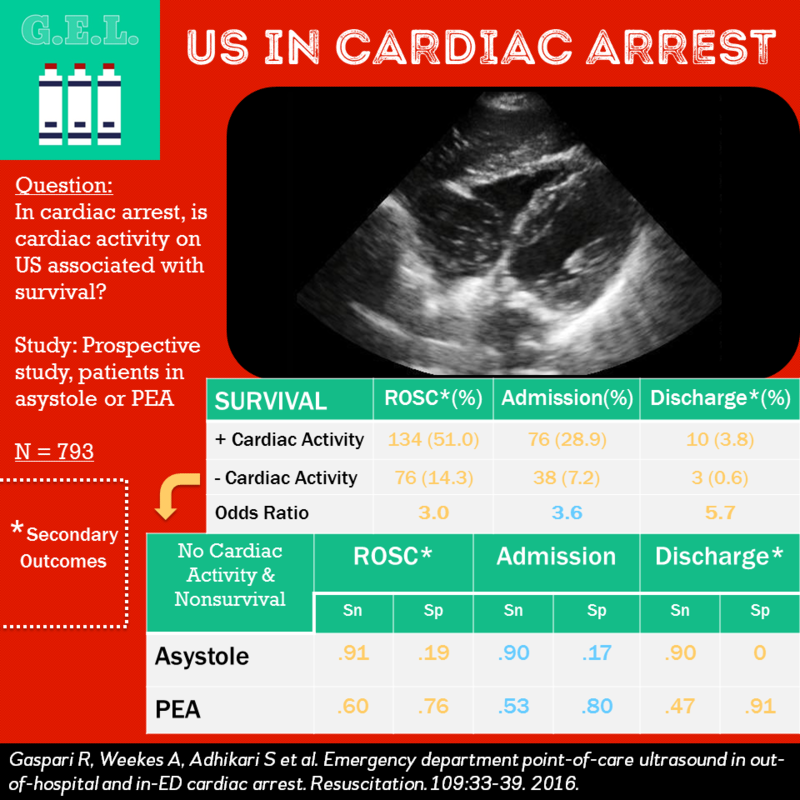 Ultrasound is used in cardiac arrest commonly. Often times people may stop a resuscitation based on the finding of no sonographic cardiac activity or continue a resuscitation if there are signs of cardiac activity. The question asked here is "really how well does ultrasound predict that this patient will live or die?". This is a high quality study taking a look at this important issue. 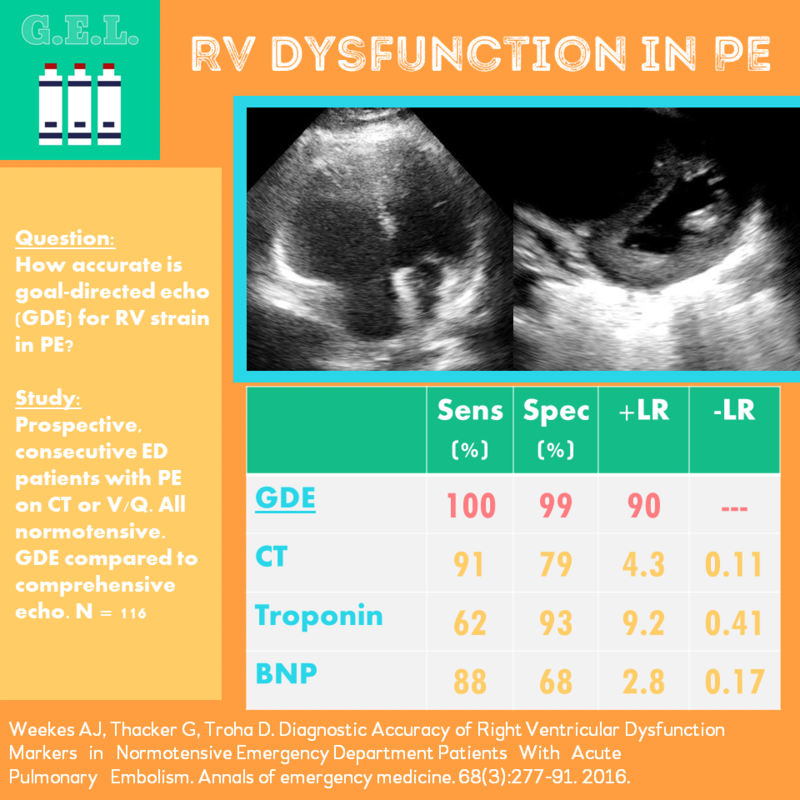 Ultrasound is commonly used in patients with pulmonary embolism to determine if there are signs of right ventricular dysfunction. This is valuable information that can help with prognostication and determining if a patient may benefit from certain interventions. The authors here wanted to know if providers need to wait for an echocardiographer or if they can perform the study themselves accurately. What do you think? 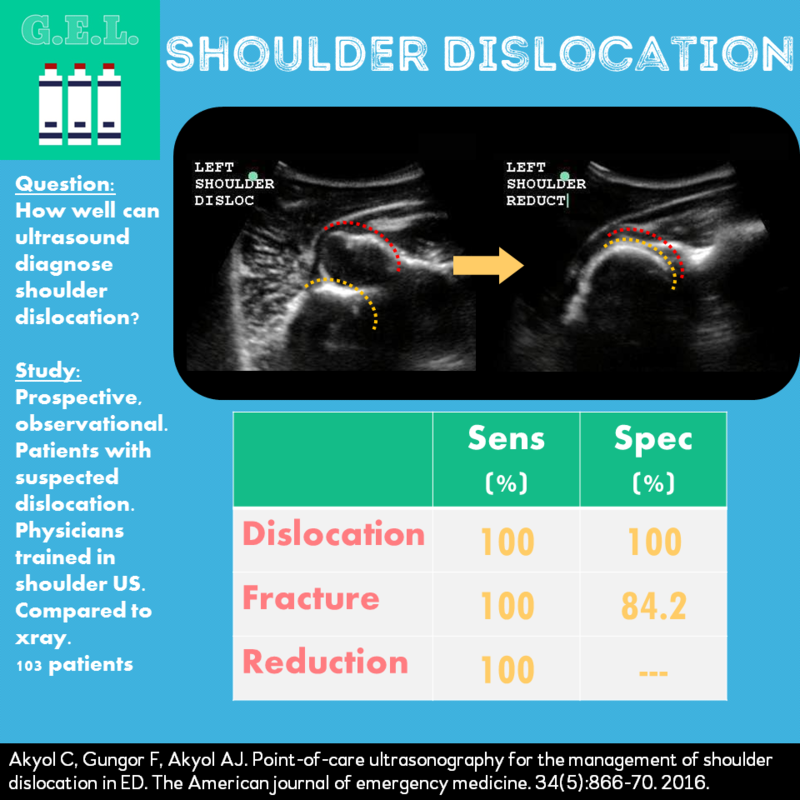 Have you ever used ultrasound to diagnose a shoulder dislocation? Why not?! The shoulder is one of the most commonly dislocated joints. We rely heavily on xray to diagnose the dislocation and also to confirm reduction. What if there was a faster way to know? Newsflash - there is! In addition to diagnosing dislocation, ultrasound, using its dynamic powers, can actually confirm your reduction as well! Oh I get it....you are worried about missing fractures. Well maybe ultrasound can help with that too...better check out this study to see just how well ultrasound performs in all of these tasks.